So I'm pretty certain I've found the perfect body moisturiser to see me through the autumn in the form of L'Occitane Melting Honey Ultra Soft Cream. I am just a little bit infatuated with honey skincare products so when L'Occitane recently introduced their Melting Honey range, it was only a matter of time before one or two pieces ended up in my collection. I mean, it's called Melting Honey - how utterly luxurious does that sound? This super silky moisturiser contains 10% Shea butter to deliver a hefty dose of hydration yet somehow manages to stay exceptionally light in texture. In fact, I'd say that texturally, it's halfway between a cream and a lotion (a crotion?). And the scent? Don't even get me started on how great this smells. In a nutshell, the cream smells nothing short of marvellous - like real honey- and in turn, makes the skin smell pretty darn good too. If you remember the honey facial moisturiser that L'Occitane used to do (and if you happen to be reading this L'Occitane, please bring it back!) it smells pretty much exactly like that. In other words, it smells utterly divine. 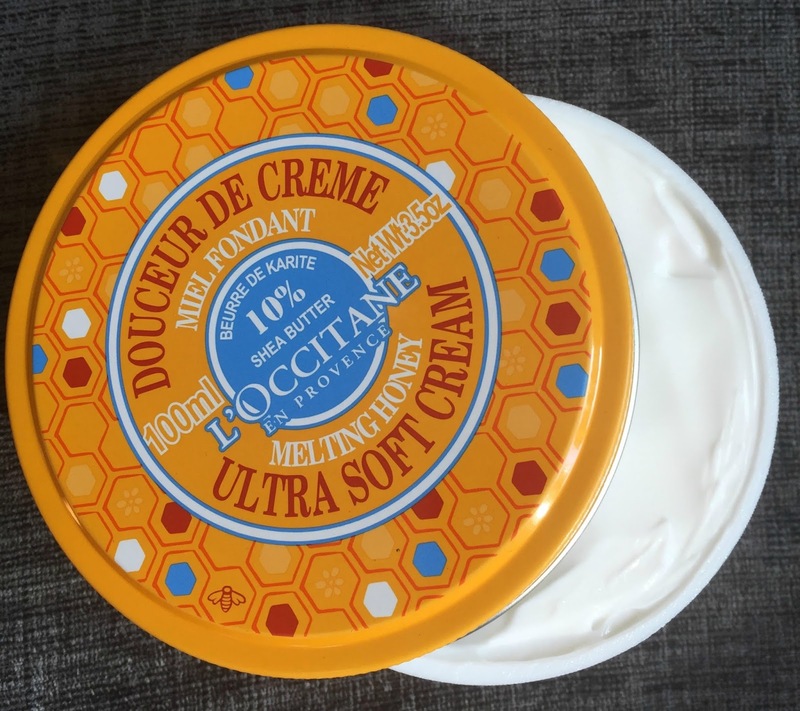 I bought my tin of Melting Honey Ultra Soft Cream in store but you can find it at L'Occitane online for a fairly reasonable £18.